Dr. J. Bhui has well over 20 years of experience in the field of dentistry which includes general, cosmetic and pediatric dentistry. He has performed well over 2000 cases of root canal therapy and other procedures, including dental implants, extractions, dentures, crowns and bridges. 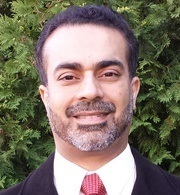 Dr. Bhui is an active member of the American Dental Association (ADA), the Washington State Dental Association (WSDA), and the Clark County Dental Society (CCDS). He has been practicing in the state of Washington since 1999 after receiving his Doctorate in Dental Medicine (DMD) from University of Pittsburgh. He has been serving Clark and neighboring counties for past 9 years. Dr. Bhui is very passionate about providing the highest possible quality of care for his patients and to exceed their expectations. He truly believes in preventive dentistry for adults and children. He conducts a comprehensive exam so that he can develop a long term goal for his patients to maintain great oral health and to prevent any future invasive procedures. To remain current with the latest techniques and technology in dentistry, Dr. Bhui has completed extensive and ongoing dental implant training as well as courses in full mouth cosmetics and restoration and IV Sedation. He has received advanced training in all aspects of general dentistry, including training in IV Sedation and Implantology. Dr. Bhui and his wife, devote their free time to family, traveling, hiking, biking and basketball.